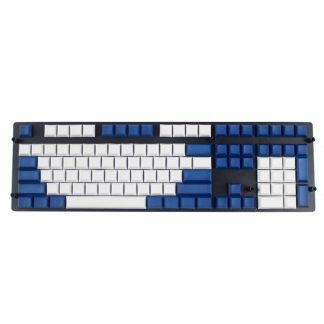 104 keycap set for standard sized keyboards. These keycaps look amazing with backlighting. They have translucent tops which allow the backlighting to shine through. 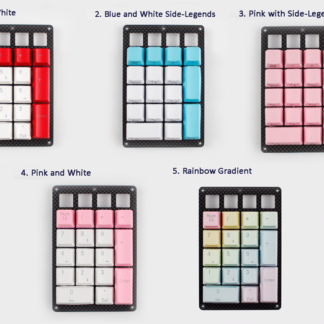 However for those of you who still need legends on your keycaps, no worries! These keycaps have side-legends allowing you to still be able to see what you are typing. Love them. Look amazing on the Anne Pro! 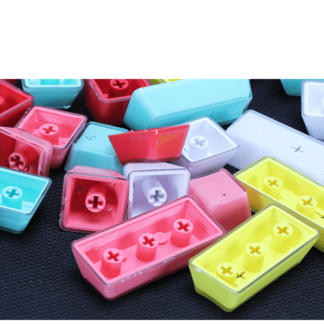 These keycaps are absolutely beautiful! 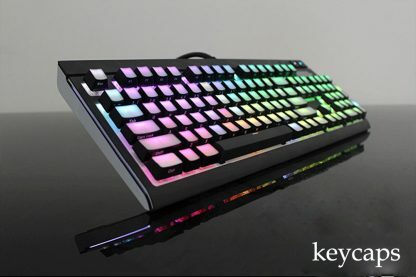 I would definitely buy another set if I had a second RGB keyboard. 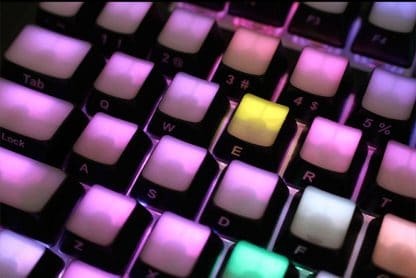 Just a heads up, the keys are for a keyboard with a standard bottom row. 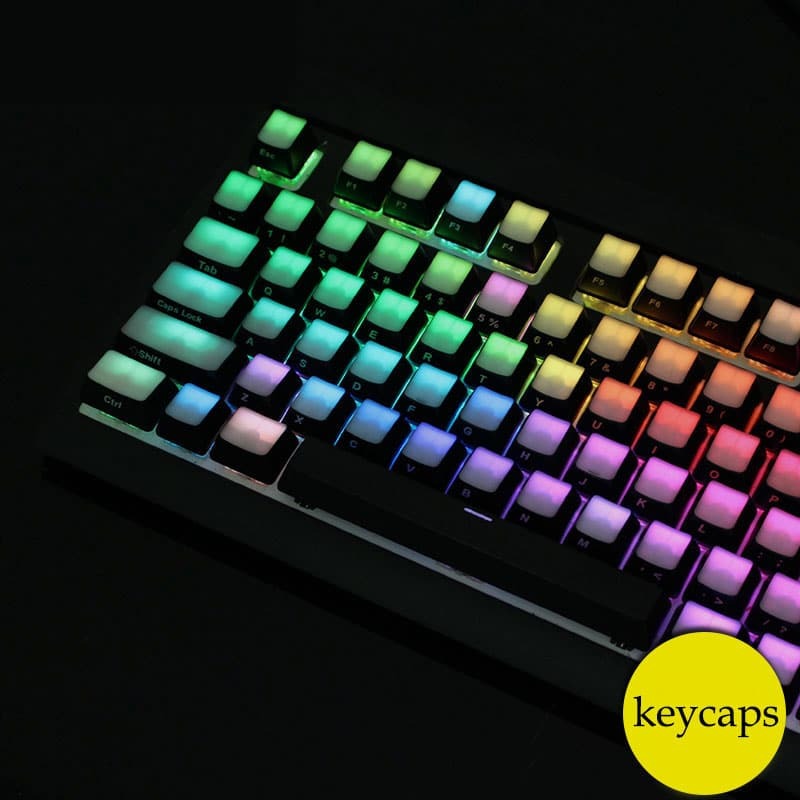 I got them for my corsair k70 so there are 4 keys that you can’t get to fit on the bottom row (both bottom windows keys, the space bar, and the options key). 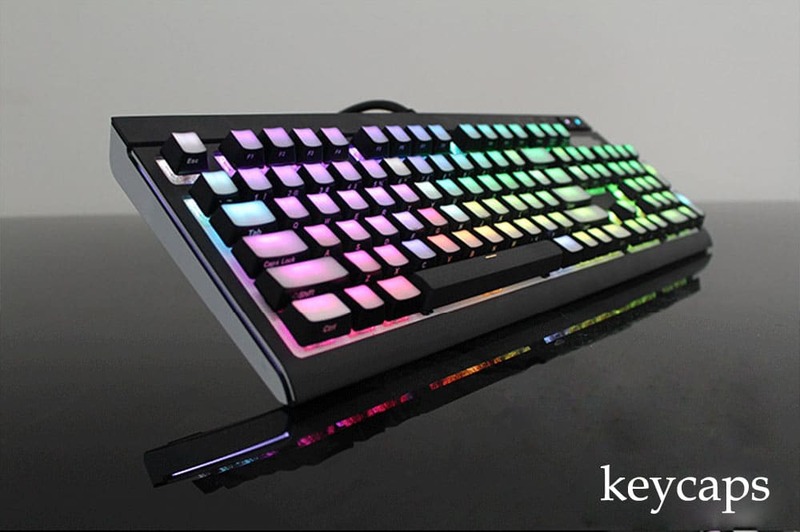 The spacebar isn’t translucent anyway because that would look weird so its realistically only three keys you can’t put on your board.